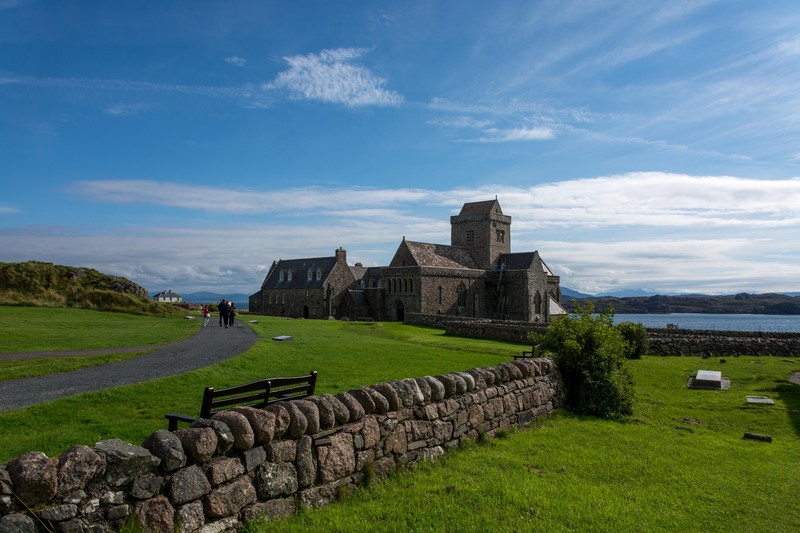 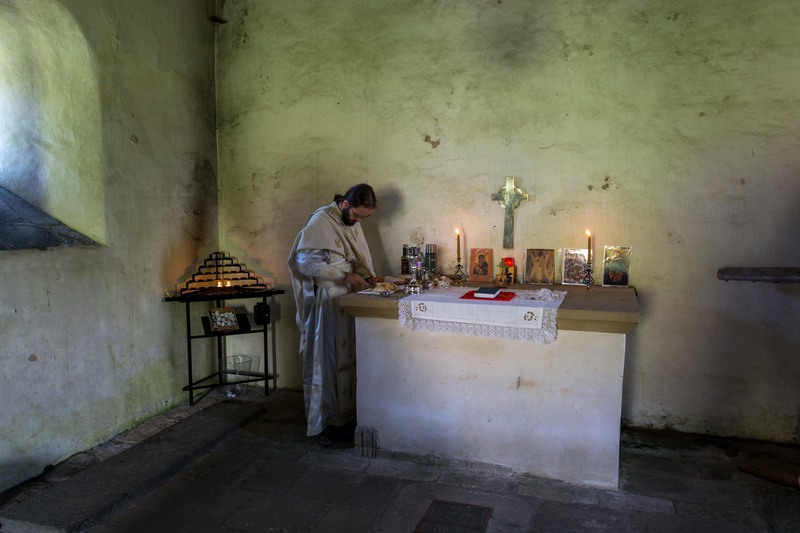 A few photos from our latest Divine Liturgy in St Oran’s, on Iona. 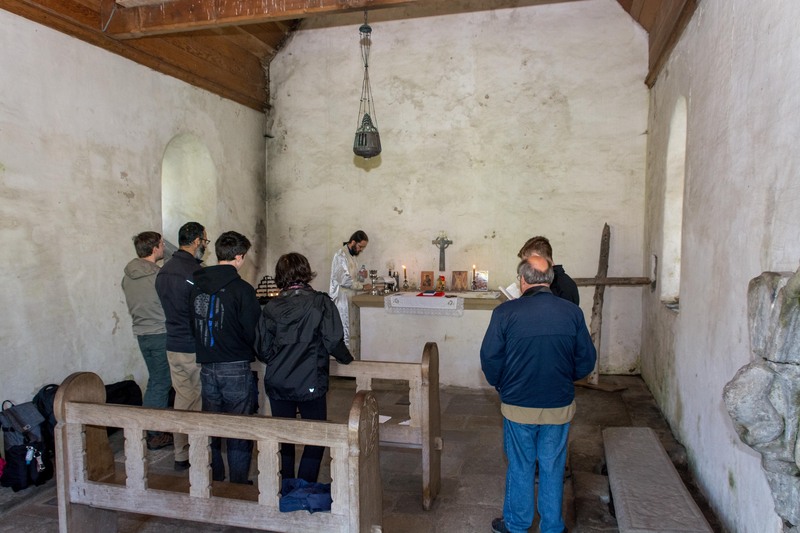 We take a very early ferry from Mull to Iona, so we have time to stop at the Martyrs’ Bay and pray before the Divine Liturgy. We then make our way to the ancient monastic graveyard and St Oran’s Chapel. 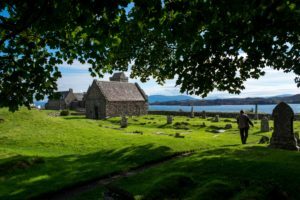 This is one of my favourite places in the isles, and I am immensely grateful to all our pilgrims this summer for being so kind and supportive to me. 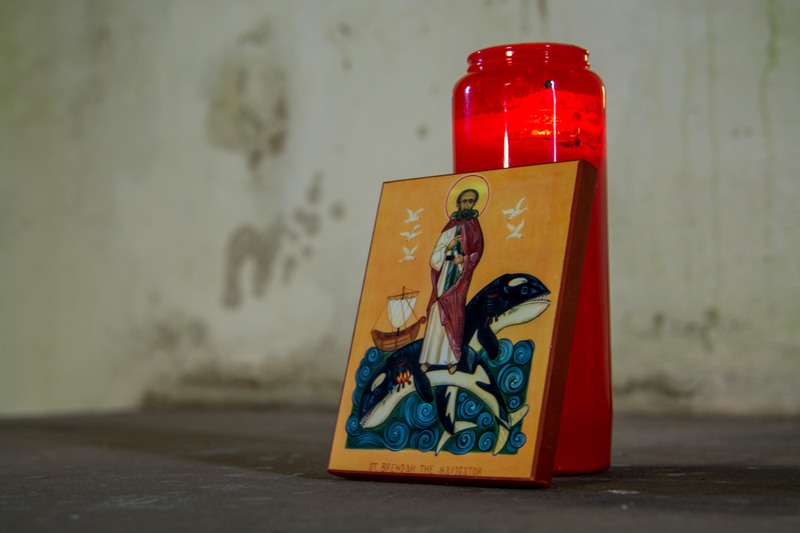 We need to bring everything with us from Mull, so each of us ends up carrying some of the things we need for the Divine Liturgy: the Chalice, the Diskos, the vestments, the icons, the coverings, the wine, hot water, prosphoras, Bible, candles etc etc. 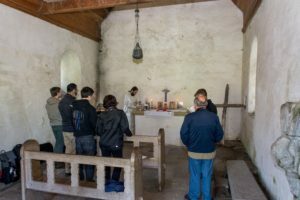 We all become a mobile church for a day, and we all depend on each other to be able to celebrate. Many thanks to Justin for taking these photos.